Recent advances in satellite measurements have led to the first ever agreed-upon estimate of the influence of ice sheets on sea-level change, a project for which Professor Matt King has been awarded the Kavli Medal and Lecture. Such research gives us remarkable insights into the past – and into the future – of the Earth's oceans. "We are really trying to get to the bottom of how much Antarctica is contributing to sea level change. One of the things that is going to influence how Antarctica changes in the future and how it is actually changing right now is the complex interaction between the ice that is sitting on the continent in Antarctica and the solid earth that is below it." When Matt King finished his surveying degree and took on a PhD project back in 1997 to go to Antarctica to study how it has changed, he had no idea where it would lead. 'In trying to crack what seemed like a self-contained problem of measuring the Antarctic ice sheet as it changes, I ended up needing to reconstruct how Antarctica has changed in the last 20,000 years and to understand how the Earth beneath is still responding to those changes,' said Matt, who is a Professor of Polar Geodesy at the University of Tasmania. 'I enjoy the challenge of measuring things precisely – it still amazes me that we can so precisely measure a glacier's motion or the changing shape of Earth and then learn something important about how the Earth works. Matt works within the Surveying and Spatial Sciences group, which is part of a wider University of Tasmania group working on solid earth geophysics and geodesy. 'We measure different aspects of the Earth so we can detect things like sea-level change, polar ice mass balance and deformation of the Earth,' he said. In 2012, Matt's data analysis and computer modelling resulted in the first reconciled estimate of ice sheet contribution to sea-level change, which has helped to answer a question that has troubled scientists for over 50 years: what is Antarctica's contribution to sea level? 'The data showed that melting of Antarctic ice sheets is increasingly contributing to sea-level rise,' said Matt. Professor King has authored more than 80 peer-reviewed publications including several articles in the leading scientific journals Science, Nature and Nature Geoscience. In 2015 he was awarded the Kavli Medal and Lecture, a biennial award for excellence in science and engineering relevant to the environment or energy, at the Royal Society (London) for his research in field glaciology leading to the first reconciled estimate of ice sheet contribution to sea level. 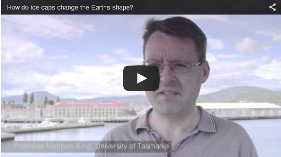 Matt King is Professor of Polar Geodesy at the University of Tasmania, Australia. 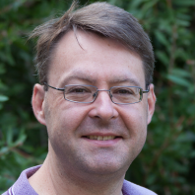 He works within the Surveying and Spatial Sciences group, forming a part of UTAS researchers working on solid earth geophysics and geodesy. In particular, his work focuses on the use of geodetic tools to solve problems related to Earth geophysics, notably sea-level change, polar ice mass balance and Earth deformation. He also seeks to advance the accuracy and precision of those geodetic tools (e.g., Global Navigation Satellite Systems (GNSS/GPS), GRACE and SLR). His field of expertise is geodetic observation of the global water cycle, including ice sheet mass balance and sea level change and particularly using the Global Positioning System (GPS) and the Gravity Recovery and Climate Experiment (GRACE). He also works on reduction of systematic and random errors in these techniques in order to maximise the information content in the data and improve the reliability of the interpretations. He has authored more than 70 peer-reviewed publications since his PhD completion in 2002, including four articles in Science, two in Nature, one in PNAS and one in Nature Geoscience. He has sourced >$6M in research awards and been an overall leader of (>$10M across all institutes). He was awarded the 2015 Kavli Medal and Lecture by the Royal Society (London) for his work that contributed to the first reconciled estimate of ice sheet contribution to sea level. His research currently encompasses four broad areas: i) tidal and hydrological forcing and response of ice streams and ice shelves; ii) measurement and modelling of glacial isostatic adjustment in Antarctica for understanding previous and current ice mass changes; iii) improved observation of 21st C sea level change and present-day polar contributors; and iv) observation of the global water cycle at large spatial scales. Improving our understanding of Antarctic ice mass balance using data from the Gravity Recovery and Climate Experiment (GRACE). Absolute global and regional sea level change over past few centuries using tide gauge data and GPS measurements of their vertical movement, and satellite altimetry. Ice sheet dynamics (ice streams and ice shelves), such as vertical tidal motion, tidal modulation of flow, long-term changes in elevation and velocity. Improving the accuracy and precision of GPS/GNSS time series to enable further advances in our understanding of the solid earth, ice sheets and tropospheric water vapour, including the Detection of Offsets in GPS time series Experiment (DOGEx). US National Science Foundation (NSF), UK Natural Environment Research Council (NERC), Australian Research Council, Netherlands Organisation for Scientific Research, Italian Scientific Committee for Antarctic Research, Georgia National Science Foundation, Fonds National de la Recherche Luxembourg, Canadian Foundation for Innovation, University of Luxembourg. Australian Antarctic Program Partnership, comprises the University of Tasmania, the Commonwealth Scientific and Industrial Research Organisation, the Australian Antartcic Division, Geosciences Australia, the Bureau of Meteorology, IMOS and Tasmanian State Govt. This initiative will support research that aims to understand the role of the Antarctic region in the global climate system and the implications on marine ecosystems. Specifically, we are going to address the following key issues related to the role of the Southern Ocean in global and regional sea level changes:1.Can we quantify the amount of heat entering the Southern Ocean? 2.Can we, through perturbation experiments (with some forcing turned on or off), separate the impact of wind-induced from Antarctic fresh water-induced ocean responses, and natural versus anthropogenic forcing in sea level and ocean dynamics in the Southern Ocean? 3.Is the dipole structure of sea level change derived from coarse resolution models robust? Will eddy-resolving model give a similar dipolar structure? Are there distinct responses to strengthening vs shifting of westerlies, and if yes, are they dependent on model resolution?4.Can we use updates of observations and projections of the Antarctic Ice Sheet contribution, together with other contributions, to better understand the regional sea-level change distribution and thus to refine sea level projections? This project is a France- Australia exchange with Dr Santamaria-Gomez visiting Hobart for two weeks. We will be working on reducing noise in GPS coordinate time series. Dr Santamaria-Gomez was previously a Marie Curie incoming fellow with our group for 2 years and this visit will extend that collaboration- He remains and Adjunct Researcher. The proposal is to support travel to enable collaboration within the Australia-France exchange scheme. The aim of this research is to characterise and interpret the vertical motion of the Australian continent using new Global Positioning System (GPS) observations in comparison with existing geophysical models to assess the contribution of vertical land motion at tide gauge sites to global sea level change measurements. This project focuses on the application of SBAS, SBAS DFMC and PPP services for the precise positioning of Unmanned Aircraft Systems (UAS) and direct georeferencing of sensor data in precision agriculture applications. The UAS industry is growing rapidly with the agricultural sector being one of the fastest growing sectors adopting UAS technology. Multispectral imaging from UAS can provide new insights into fine-scale spatial variability of crop health. This information can be used by farmers and farm managers to improve efficiencies in application of water, fertilisers, pesticides, herbicides, and other inputs. This project will integrate SBAS GNSS hardware in a UAS configuration typically used in farm environments, namely a small multi-rotor UAS (<15 kg) with multispectral imaging capabilities. The project will assess the performance of SBAS GNSS positioning for typical UAS flight dynamics and will characterise the levels of noise in the GNSS solution. We will quantify the accuracy of direct georeferencing of a multispectral orthomosaic based on on-board SBAS GNSS data. The intended outcome is a low-cost and efficient positioning solution for UAS-based surveys producing ultra-high resolution imagery at high absolute accuracy with direct benefits in precision agriculture and to on-farm efficiencies. Global sea level fluctuations are driven by changes in the mass balance of the world's ice sheets and mountain glaciers. These fluctuations arise from either the increased discharge of ice into the oceans or through increases in snowfall over these ice masses. While satellite-derived observations of ice mass change have greatly advanced our understanding of Antarctica's contribution to global sea level, they lack ground-based constraints in many regions to fully validate the amount of ice mass change. This project will make detailed observations on the current state of Totten Glacier, East Antarctica, as well as how it has evolved over the past 50 years, through detailed ground-based measurements across the Totten Glacier catchment. These new measurements will lead to refined measurements of this outlet glacier's contribution to global sea level now and in the future. This proposal aims to quantify mantle viscosity across West Antarctica via innovative analysis of the viscoelastic response to episodic surface loading anomalies. Resolving the current uncertainty in absolute viscosity will allow us to address a fundamental weakness of the GIA models that are currently used to underpin estimates of ice sheet mass balance. Moreover it will allow us to identify low viscosity areas where hypothesized negative feedbacks may mitigate against future ice sheet grounding line retreat. While in high viscosity areas our methodology will allow us to identify regions that are undergoing dynamic ice loss. We can achieve these goals by rationalising and extending the time series of an existing regional GPS network. 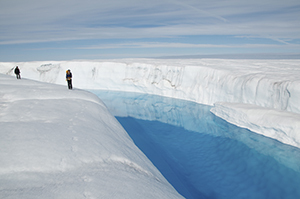 This project aims to accurately determine Antarcticas contribution to present-day sea-level; this is currentlyuncertain and controversial (the sign of change is not agreed), with large technique-specific systematic errors.Three of four measurement techniques rely on knowing the solid earth's changing shape or gravity field. Postseismicdeformation has never been considered in such studies, but GPS data now unequivocally show thatAntarctica has been deforming since the 1998 Magnitude-8.2 Antarctic Plate Earthquake. We propose to developa state-of-the-art model of these earthquakes constrained by new and improved geodetic data and then use themodel to provide new estimates of Antarctica's contribution to sea-level change. The project will focus on determining more accurate estimates of Antarctica's contribution to sea level. Women are underrepresented in STEMM/leadership positions worldwide (ABS 2014). Although women comprise 50% of PhDs in Natural and Physical Sciences in Australia, they comprise only 16% of senior academic leaders (SAGE 2017). Implicit biases/discrimination, gender stereotyping, family obligations, and lack of role models are all barriers to womens advancement (e.g. Roberts 2014). 60% of polar ECRs are women; yet, there is no public data on gender equity in Australian Antarctic science (Strugnell et al. 2016). Existing research primarily tracks publications/other similar metrics to measure womens STEMM participation. However, this approach risks recognising women only if they behave like men, ignoring disproportionate rates of sexual harassment experienced by women. Women in Antarctic research are 3.5 times more likely to experience harassment than men (Clancy et al. 2014).To fill this gap, this project uses an intersectional approach to develop a baseline understanding of the characteristics of women in Australian Antarctic research and their research experiences to inform long-term responses to gendered inequality in the field. Multi-decadal changes in sea-level, and sea-level extremes, cannot be well quantified along most global coastlines, including Australia's, because the high spatial variability of sea-level is under-sampled by the sparse set of long, high quality tide gauge records. Satellite altimetry provides an alternative data source with greater spatial sampling, yet experiences contamination from land within tens of kilometres from the coast and also suffers from regionally correlated biases. Here we propose to address these problems through re-tracking radar altimetry waveforms to derive new data in the coastal margin - enabling us to produce new inferences on sea-level change and extremes at dramatically improved spatial resolution around Australia. This proposal aims to deploy geophysical equipment within Antarctica to understand how Earth responds to changes in stress (rheology) within the crust and upper mantle (the upper ~660km). It exploits a globally unique natural experiment that commenced in 2002 with the break-up of the Larsen B Ice Shelf and which was followed by large-scale ice-mass unloading and rapid surface deformation. New broadband passive seismic and geodetic deformation measurements offer the promise of resolving a dichotomy between laboratory and millennial-scale determinations of Earth rheology through uniquely studying a time-scale midway between these extremes, whilst further strengthening Australia's emerging expertise in polar geophysics. The large distances between tide gauges around global coastlines, including Australia's, combined with spatial variability in sea level, means that multidecadal changes in sea-level cannot be well quantified along most coastlines. An alternative data source with greater spatial sampling, satellite altimetry, experiences contamination from land within tens of km from the coast and also suffers from regionally correlated biases. Here we propose to address both problems using re-analysed (re-tracked) radar altimetry waveforms to derive new data in the coastal margin- enabling us to produce new inferences on sea-level change and extremes at dramatically improved spatial resolution around Australia. The proposed research aims to initiate a program of observations of East Antarctic marine-terminating outlet glaciers, focussing over a three-year period on East Ranvik and Sorsdal Glaciers near Davis Station. 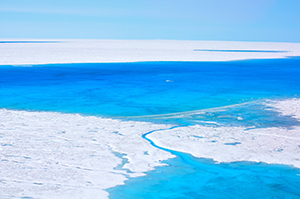 We plan to determine to what extent processes known to enhance ice margin sensitivity to environmental forcing in Greenland and West Antarctica are at work at these two glaciers, which are logistically appealing due to their proximity to an Australian station. This project addresses the current uncertainty in the present-day contribution of the West Antarctic Ice Sheet to global sea level rise. In particular, it focuses on time-variable gravity data from the Gravity Recovery and Climate Experiment (GRACE) satellite mission which are, at present, severely limited due to inaccurate models of Antarctic glacial isostatic adjustment (GIA). This project will focus on fully exploiting a new and unique Global Positioning System (GPS) dataset recently obtained over the region. These data offer important constraints on GIA and will lead to a refined understanding of the present-day ice mass change for West Antarctica. Thinking of undertaking a PhD? Feel free to discuss ideas with Matt. There are lists of potential PhD topics listed on the solid earth geophysics and geodesy and the Quantitative Antarctic Science websites. He is actively recruiting, but applicants must have a strong track record (Australia/NZ: 1st class honours; overseas: MSc or journal paper in English and very good overall English).